Pitched as a “reimagining” of the cult horror classic, Sony is starting to piece together their remake of The Grudge, and from everything we’ve been hearing, we’re beginning to get a bit excited about it. For those who haven’t been keeping up, Nicolas Pesce is directing from his own script, and in a recent interview with Dread Central, writer Jeff Buhler had nothing but praise to offer up for the filmmaker, telling the outlet that Pesce is bringing his own vision to the project. 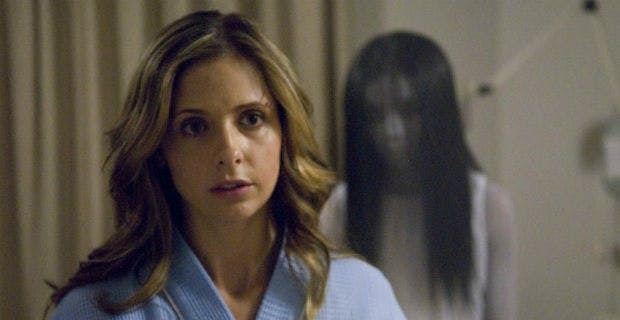 The Grudge is also bolstered by some serious film pedigree behind the scenes, given Sam Raimi and Rob Tapert have agreed to produce the movie on behalf of Ghost House. If that banner sounds familiar, it should; Ghost House last collaborated with Good Universe and Sony for Fede Alvarez’s spooky domestic thriller Don’t Breathe, so their involvement certainly bodes well here. In front of the camera, things are looking equally as good, with a cast that includes Andrea Riseborough, Demian Bichir, John Cho and Lin Shaye. It’s that last name which has fans particularly excited and when asked about how he felt having her involved, Buhler was quick to shower praise on the genre icon. That being said, it’s not like anyone was really asking for a remake of The Grudge, but based on the name recognition alone, we’re sure it’ll bring in more than enough money to justify producing it. We just hope that it’s as good as Buhler is promising it’ll be, as we’ve seen far too many crappy horror remakes lately, wouldn’t you say?